As far as flashlights go, we don’t really expect much. We want them to provide a light in the dark and maybe accompany us on journeys, but they aren’t exactly a multi-tasking tool. 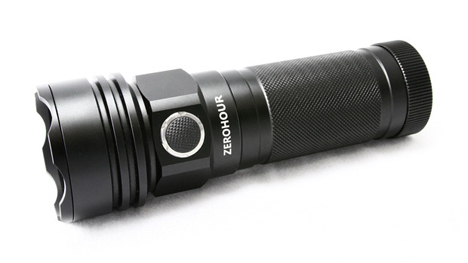 The ZeroHourXD is one rugged flashlight that might change the way you think about this essential piece of survival gear. 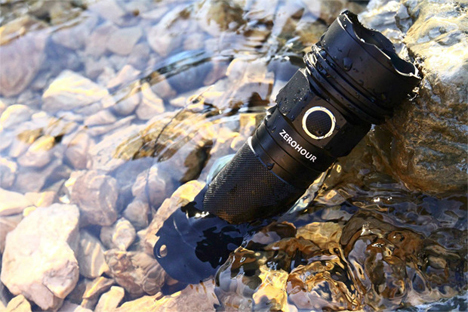 The waterproof ZeroHourXD puts out an impressive 1,000 lumens of light and can do so for up to six hours. The flashlight comes with three rechargeable batteries; the modular nature of the batteries makes it easier to change them out once they’re used up and allows you to carry along extras wherever you go. You can use the flashlight with one, two, or all three batteries. But the cool part of the ZeroHourXD is that it can also be used as a gadget charger. One of the battery packs includes a dual USB charger that can charge two gadgets at once. With full batteries, it can charge an iPhone seven times, a Samsung Galaxy five times, or an iPad Air two times. Although the ZeroHourXD can be used as a flashlight and charge a gadget or two at the same time, the battery power will obviously diminish faster the more you multi-task. But in the case that you don’t need a flashlight, you can use the charging module on its own. The company says their sources of inspiration were the classic Maglite and the iconic lightsaber. There are different body modules that can be added on to make the body of the flashlight longer to fit your specific needs. 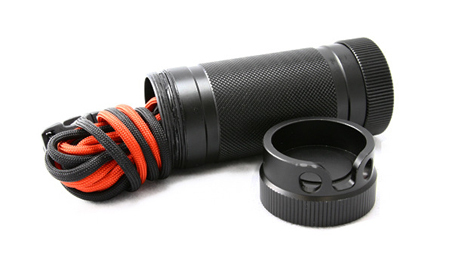 Removing the innards of one of the battery packs creates a watertight capsule that can hold matches, medicine, keys, and other necessities. The flashlight comes with a variety of end caps: a carabiner cap, flat cap, and open cap. They allow you to keep the USB ports open or covered as the situation calls for; additional removable USB covers keep the USB ports. 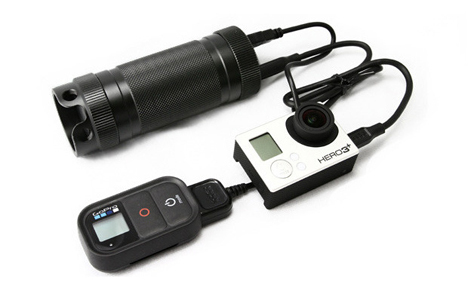 Following a successful Kickstarter campaign, the ZeroHourXD is now available for $225 (US). See more in Various Gizmos or under Gadgets. August, 2014.